Streamlined and contemporary, this stunning collection offers a gorgeous juxtaposition between warm Granadillo surfaces and Soft White finishes. The result is an understated yet eye-catching effect, which balances practical and spacious storage with undeniable aesthetic beauty. 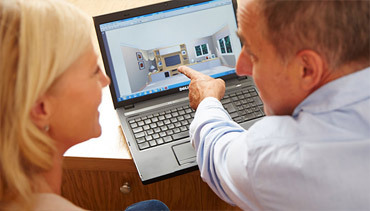 The two-tone design of Optima means you can tailor its fitted cabinets and free-standing furniture to precisely match your home’s colour palette, with a wide choice of sophisticated painted finishes and quality wood grains. 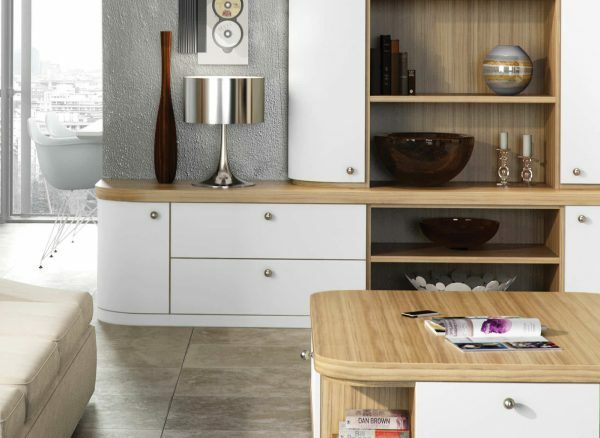 Our Optima range boasts beautifully curved profiles, which deliver a contemporary charm to any living space. 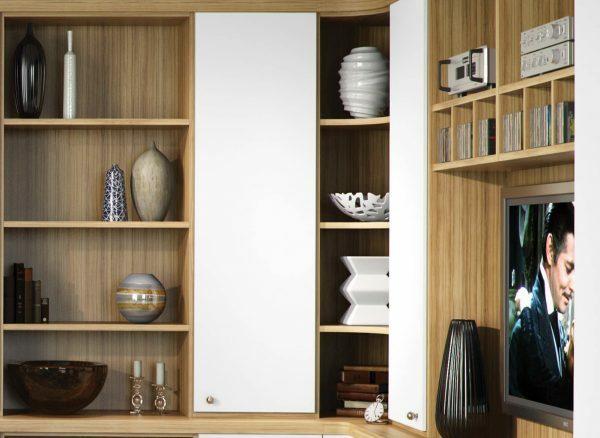 From shelving to cabinets and even matching coffee tables, all your Optima fitted lounge furniture will feature a smoothly rounded design with plenty of storage space inside. This lounge furniture suite has been finished in a subtle shade of Soft White. 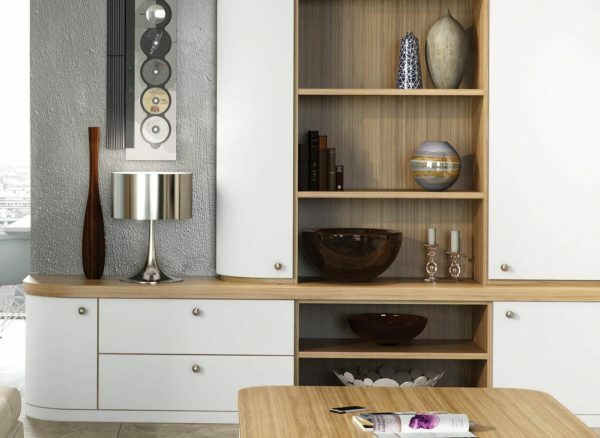 This brings a clean and modern look to the room, while complementing the warmer wood tones of Granadillo. We have a wide choice of wood grains and painted colour finishes, so you can find the exact look you have your heart set on. 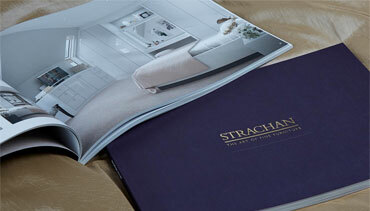 Your expert Strachan designer will ensure that every inch of your Optima furniture delivers style and storage. 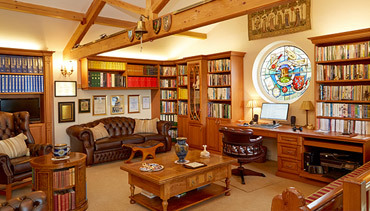 Every nook, cranny and corner of your bespoke lounge will be handcrafted to suit your needs, from meticulously measured shelves to corner display units for your treasured possessions.